Davy Jones a name which is associated with the sea. An Iconic character from the famous film series "Pirates of Caribbean". 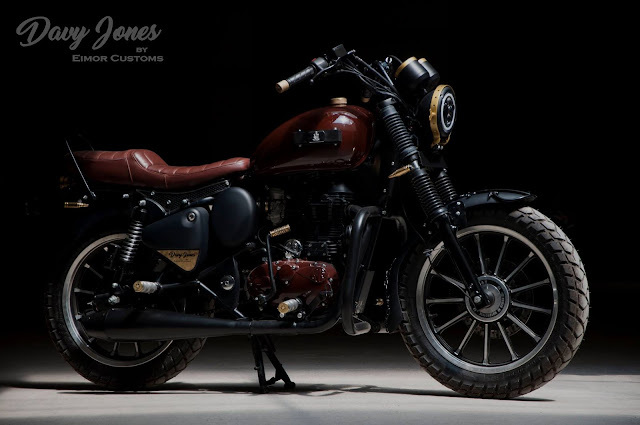 The same name deserves the new bike from the EIMOR Customs. The bike belongs to a Indian Navy Personal who has spent many years serving the Nation. He wanted his bike to have similar stances of ship and something which can be depicts his naval life. 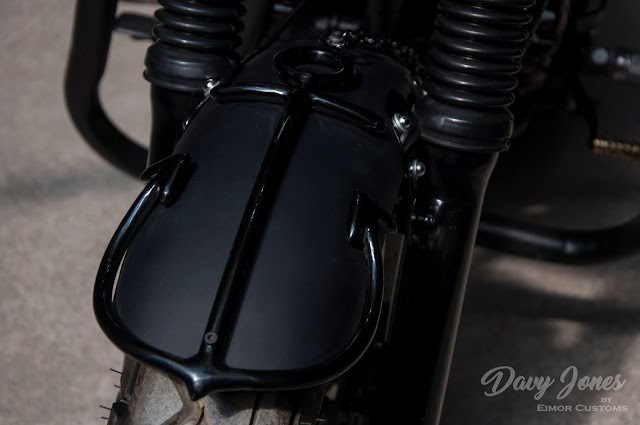 For that EIMOR Customs has fitted the anchor and chain on the front fender. The seat fitted on the frame is inspired by the deck of ships. 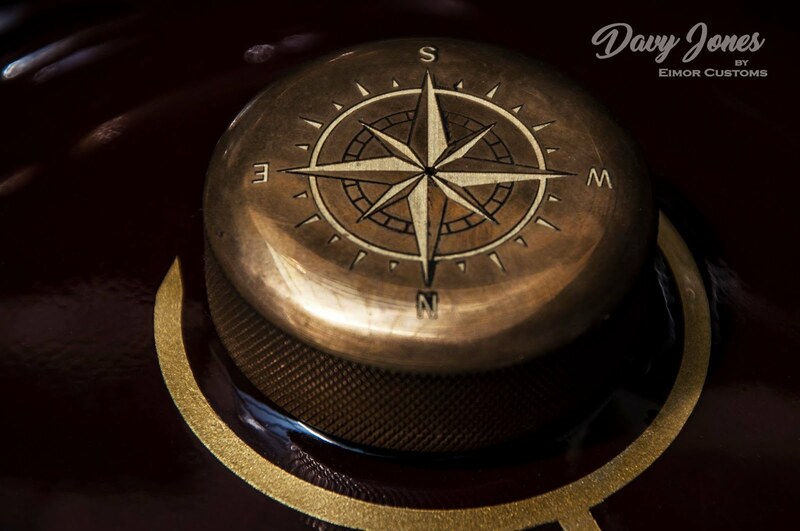 Compass is an important instrument for the naval force so they have engraved compass on the fuel tank cap. Indicators are given bullet like structure. Gear lever and foot kick are just like similar to the gun muzzle. They have used cnc machined footrest. The tank sides have belt and buckle which provides looks the navy badges. The battery cover signifies the rank of Lieutenant Commander made of golden leaf. This bike has been done in a black and brick red theme with extensive brass and aluminium. 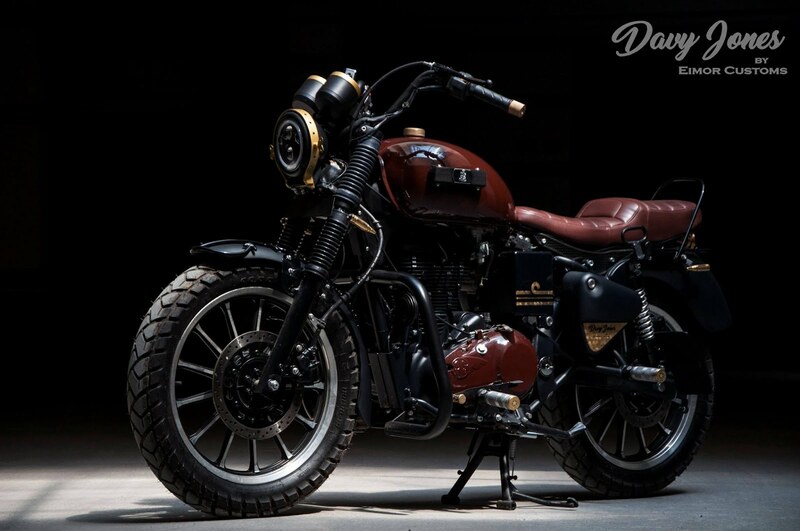 With matching engine covers and tan brown seat this looks like an absolute beauty.